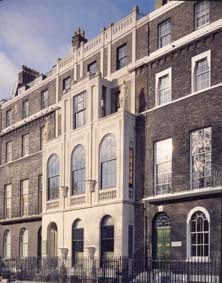 The house that once belonged to Sir John Soane sits in the middle of a pleasant Georgian terrace overlooking Lincoln’s Inn Fields in Holborn. From the outside it appears incredibly narrow and leaves one wondering how on Earth a collection renowned for its variety and sheer amount of items could possibly fit within the walls. This mystery is immediately solved upon entry, which is granted only to a small number at a time to ease congestion. The relative emptiness of Soane’s Museum (when compared to the other flagship museums in London) also makes for a more relaxed experience, whereby one can explore the mysteries within at one’s own pace. The stairways and corridors of the house form a labyrinth that is filled to the brim with curiosities, sculptures, paintings and artefacts – few museums or indeed few buildings in general make such effective use of space. The displays cover the floor to the ceiling across much of the house; wherever you look you are bound to discover something. Readers may remember the house of Syrius Black in Harry Potter and the Order of the Phoenix, which was charmed to widen itself for visitors without affecting the neighbouring buildings. It seems that legendary architect Sir John Soane developed this magic many centuries ago, as I’m still wondering how his house could contain so many opulent rooms and even several courtyards within the structure. Soane was an avid traveller and collector, with the exhibits charting history from Ancient Egypt to Renaissance Italy. 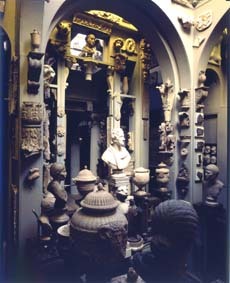 Another magical quirk of the house is found in one of Soane’s main galleries. As his collection of paintings grew beyond what was possible to display on his busy walls, he transformed his gallery into a giant, three dimensional book; with walls on hinges that can be turned like a page to reveal yet more paintings on another hinged wall behind it. Me and my fellow explorer were more than willing to donate to the museum, which is one of the many across the UK still committed to offering free entry despite facing tough cuts to their funding. The collection is vast and varied, while the staff are enthusiastic and knowledgeable – making for a great place to visit in London. Soane’s house is only a few minutes walk from the world famous British Museum, but the next time you find yourself in that neck of the woods, be sure to give some time for immersing yourself in the world of John Soane.